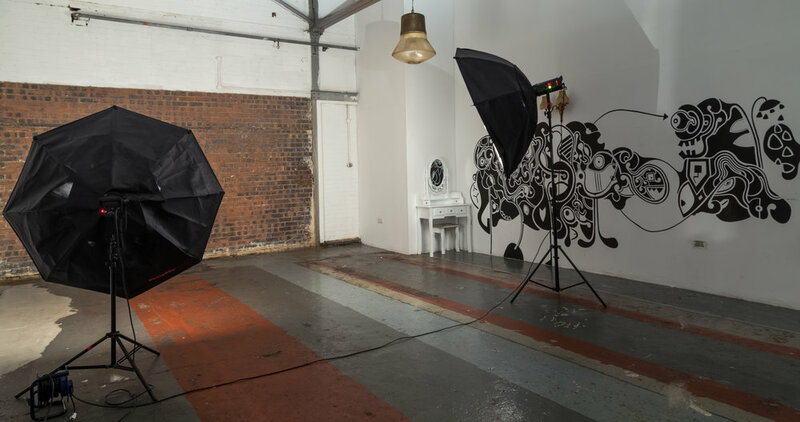 Studio 3 is intentionally presented as an exposed and industrially themed space which is perfect for photography shoots, green screen shoots, editorials, filming, events, rehearsals and pre production run throughs. 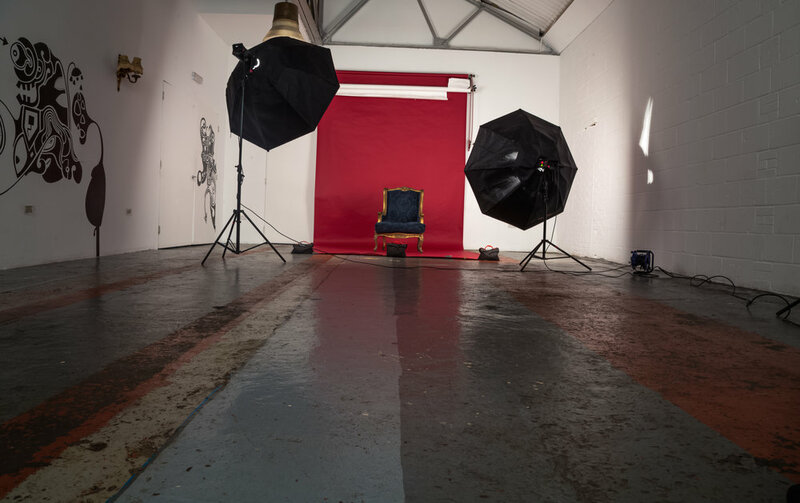 The studio space would also be great as a gallery space (courtesy of the natural light); or as a lecture space, meeting room, dance/ fitness area, and of course for any event, on a dry hire basis. 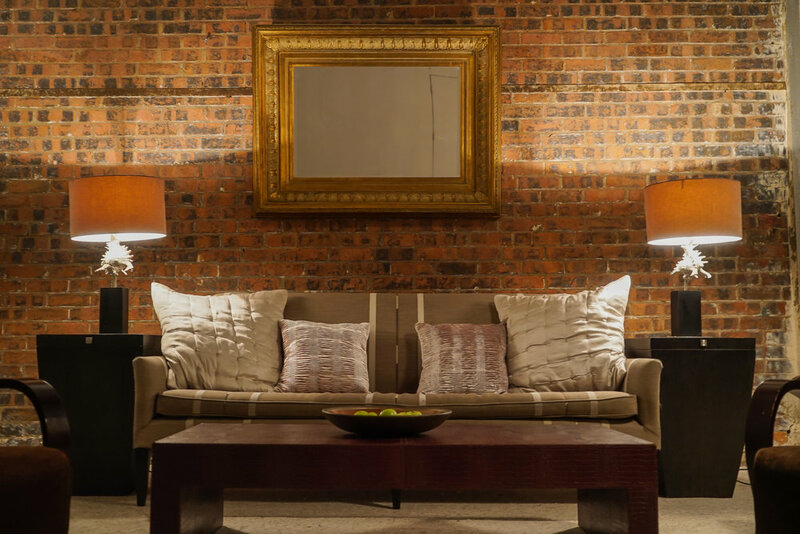 Studio 3 benefits from a large exposed red brick wall alongside a white breeze block wall too. Studio 3 gives the client unique malleability throughout the space, offering 4 distinctively different back drops including a painted mural wall. Given notice, Studio 3 can be completely blacked out or repainted upon request. Studio 3 interconnects with Studio 2 with further access into Studio 1 from either end of the studio complex which is combinable space for larger shoots / functions. Our Green room is here to help production companies, producers and advertising agencies in practices when shooting footage or a creative for a green screen. We are also able to provide a comprehensive amount of supportive equipment to help you produce, shoot or film on a green screen making Chillicheese an ideal place for Green Screen studio rental in London. The make up and changing areas are modular allowing for maximum usage of the studio space. Studio 3 also benefits from projector and specialist AV services readily available upon request. 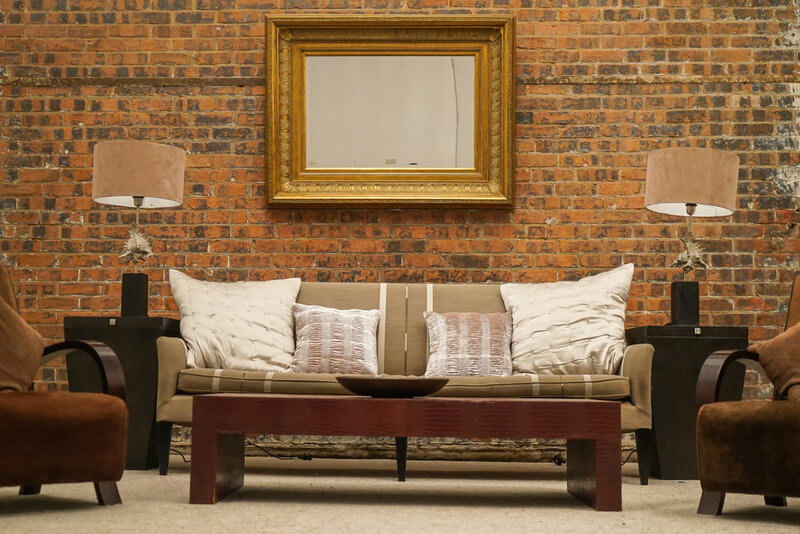 The studios are all fully equipped with a kitchenette, comfortable lobby and smoking areas for clients to both work and relax in. ChilliCheeze Studios offer a diverse range of Colorama background papers for shoots (colours to be verified at the time of booking) in different sizes and widths. We also provide a choice of Lee and Rosco filters, MagTapes and Gaffer tapes, Kenair and Matt Sprays and other consumables at a friendly price.